Mops can effectively tidy up your floor if they are properly cleaned whether wet or dry. 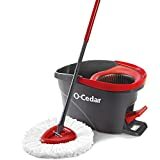 In the event that a mop is not cleaned accordingly or neglected, then all you will be doing is spreading germs and dirt on your floor instead of cleaning it up. In order to keep your mop functioning properly, you have to apply the right mode of cleaning. On the same note, dry mops and wet sponge need to be cleaned in a slightly different technique compared to other clothes. Among the techniques, include deep cleaning, proper storage as well as rinsing it accordingly. 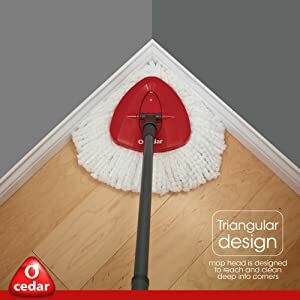 If the techniques are applied and followed regularly then your mop will give you dependable cleaning power for longer. The structure of wet mops entails a sponge head or a rag in most cases. The sponge or rag head is usually dipped in water that is soapy an applied on surfaces. The uniqueness of wet mops is that they cannot be applied on a surface that is not swept. Mostly, a dry mop is used to clear dust or soil before a wet mop comes in. Here is the procedure for cleaning a wet mop. The best way to maintain your wet mop is by rinsing it thoroughly with hot water every time you are done using it. Failure to do the rinsing will result in millions of bacteria breeding in your mop which may spread to the surface that the mop is used on. However, rinsing the mop under running water counteracts the bacteria. Continue rinsing the mop under running water until the water runs clear. After rinsing the mop, go ahead and fill up your mop bucket with clean water( if you have one) and clean it up as well. Dry mops or dust mops feature a disposable pad or a fabric head which is replaceable after use. They are ideal for wiping up dry surfaces since they trap dust, fine particles, hair and so on. Cotton mops may be a little bit difficult to clean especially if they are soiled. 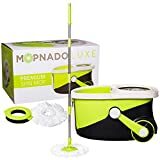 If you have to clean your mop using a washing machine, you start by carefully vacuuming the excessive dust off or you can choose to shake the dust off the mop head physically. After getting rid of the dust on the mop head, you proceed by placing it in a perforated bag or a net washing bag. Thereafter, you proceed by placing the mop in hot water with a little soap. Soak the mop in the water for about 10 to 15 minutes. Continue by pouring about one handful of laundry detergent into your washing machine. Washing of the mop head should be done at low speed. Therefore, wash the mop for 3-5 minutes. Keep in mind that the mop should not be washed in the washing machine by itself but rather it should be washed when the machine is loaded fully. Another point of caution is that the mop should not be over-washed and neither should it be washed with bleach. Over-washing and use of bleach bring severe damage to the mop’s yarn. Rinsing is important after washing it so as to get rid of alkali. This is done by passing the mop head into the lukewarm water. After rinsing the mop head, you can now get it out of the washing bag and get it tumbled in a dryer at a temperature below 180 Farads till it dries up. Be cautious of extreme heat since it causes rapid deterioration of the mop. 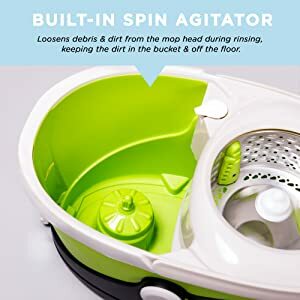 The procedure of hand-washing your mop head is almost similar cleaning by machine except for the washing machine part. In this case, you also get rid of the visible soil on the mop. This can be done using a brush or by vacuuming. In a sizeable bucket, add warm water and mix it with a right amount of detergent. This is especially good if you use a mop bucket that incorporates a wringer. After making the solution, you proceed by placing the mop in the solution. Wash the mop in the water until you are satisfied that most of the soil on the mop is removed. Proceed by passing the mop on the wringer and getting rid of water. In the event that you are cleaning more than one mop, it is advisable to utilize a bucket that features a separate collection bucket. When you are satisfied that excess water has been extracted, place the mop out for air-drying. Drying of the mop takes about 2-4 hours on average. This is because cotton mops tend to retain more moisture compared to synthetic ones. Proper drying is important to keep the mop clean and bacteria free. For this reason, after rinsing a mop and taking out excess water, you have to air it in the right manner. In order to ensure that your mop is aerated and dried off the moisture completely, you can shake it out so that its strands freely hang. Similarly, combing will also help with spreading out the strands to increase the surface area of airing. You could use your fingers to untangle the strands as well. If efficient drying is not undertaken, things like residual wax, which may be left in the fiber of the mop, may harden once it dries up. If you have to put it on a line then the head should be up while the strands face down. Additionally, it is better to have the mop hang rather than leaving it on the floor. This is because the floor is more prone to bacteria which could spread to the mop even after it dries up. Always replace your mop when necessary. When your mop ears out, using it again can become a cleaning hazard. As much as they are considered to last for a while, they eventually become worn out and require replacement. Dry your mop properly: this mainly applies to mops that are made of cotton. When compared to synthetic mops, cotton mops hold a lot of moisture. Failure to dry properly leads to the growth of bacteria, which could infect your surfaces rather than clean them. Thus, it is extremely important to wring out excess water from your mop and ensure that it dries completely. Rinse thoroughly after washing: Similarly, rinsing helps to prevent the growth of bacteria on your mop. The soap or detergent that is used to wash your mop can be damaging to the mop in the long run. Ensure that your mop is rinsed accordingly, to get rid of the alkaline that could shorten its span. Store properly: Storage is another key value in maintaining your mop. Make sure that the mop is stored in a cool dry place that above the floor.This makes the mop more effective in the next round of cleaning.